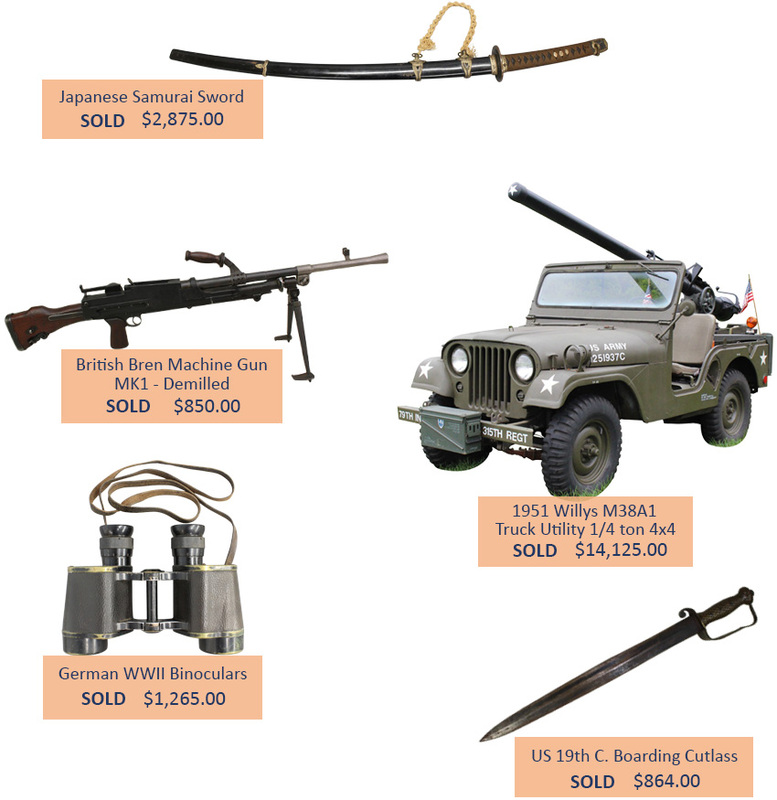 Alderfer Military Auctions, feature weapons and paraphernalia including military combat weapons, military collectibles, swords, bayonets, knives, as well as accessories including helmets, uniforms, belts, medals, awards, citations and related materials. 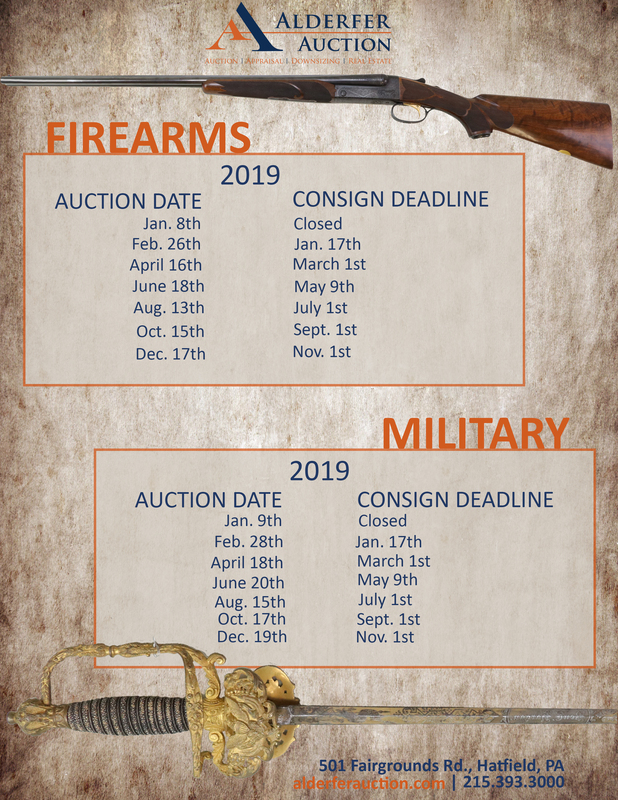 Our military auctions generally include items from the American Civil War, World War I, World War II as well as international arms from England, Japan and Germany and others. We offer edged weapons, dress swords, daggers, rifle bayonets, and knuckle-gripped fighting/trench knives. We also include uniforms, tunics, flight jackets, helmets, parkas, flags, banners, propaganda flyers and decorations.